Don't forget the guys on are Chum FM tomorrow morning at 8 live from Barbados. Follow this twitter list for updates for people there. Jordan was interviewed on KLUC, you can listen to it here. The guys will be on Chum FM this Friday morning at 8AM. You can listen live here. The guys are currenly in Los Angelos preparing for the "CasiNo" tour and cruise. 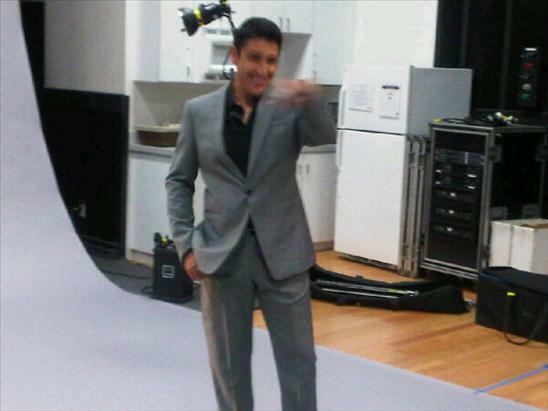 They had a photo shoot today, but @NKOTB on Twitter has given us a preview. You can view their photos here. Join NKOTB for a PRE CRUISE KICK OFF SHOW! We have just announced that we are playing the Fillmore in Miami on the Thursday before the cruise. First of all we haven't played Miami in a long long time- yes the Miami area-ish, but not Miami. So that is special. Second, The Fillmore is in South Beach... ah, my youth on South Beach- good times...nice to relive it in a safe way :) Third, The Fillmore is a very cool brand (as they say in the industry) so you know the vibe is gonna be right. Fourth, the Fillmore used to be called the Jackie Gleason Theatre. You know what they used to call him? "The Great One". I spent a lot of time in Miami when I would go down with my dad to business conventions and then it was the natch spot to get away from the Boston winters. As a young man, I pulled a few "almost" all-nighters down there. And during the day, I would often pass the Jackie Gleason Theatre and think, "Some day." I mean he was/is the Great One and I just always loved the locale of that theatre, so once again the New Kids check another one off the list of Joey McIntyre's Show Biz Wish List. Thanks, guys... 5 brothers and a million sisters- it gets you in. Donnie has been in New York filming his TV pilot for "Reagan's Law". He was mentioned in the Boston Globe recently.